Welcome to Issue 3 of SHAPE Journal. All the papers included in this issue are continuations of paper sequences already ongoing, though that on the Large Hadron Collider terminates that series, for now at least! But the new instalment on A Structure of Diagrams begins an interesting journey exploring possible hierarchies and alternative kinds of diagrams which can represent the same difficult situations from very different viewpoints. In particular, we here begin to tackle the problems of making both the designing and constructing of electronic circuits more intelligible with quite different forms of diagram. 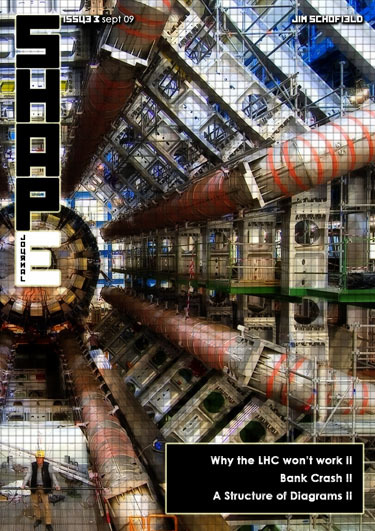 Our preparations for a new series on Real Science are now complete, and we will commence publication on this important series in the next Issue of Shape. This series is briefly trailered in this Issue with a picture of one of my great scientific heroes, Hermann von Helmholtz. Indeed, this series will only be the first of many contributions on an important new view of Science arising out of the achievements of a quite revolutionary type of scientist, of which Darwin and Wegener are the best examples. This approach is termed Holisitc Science, and while Real Science perhaps lays the groundwork, a whole range of very different contributions is perhaps best typified by the new short piece on our Blog entitled The Dream. This author has been writing on Emergences for many years and in particular on the problem of the Origin of Life on Earth. And, in this crucial area, serveral series are now awaiting their slots in the Journal. We will be regularly trailing future publications for this Journal on the Blog, as well as publishing both current news items, and papers which seem important enough to jump the queue and at least be flagged as "coming soon", if not actually included there and then. A great deal more content has been made ready for the future Issues of the Journal, which if we continue our current release schedule, will keep us in copy until Autumn 2011. And this is without counting any guest contributions from our readers that we decide to publish. Send your papers in to us, and have your say on these important issues. Good reading, and let us know what you think!